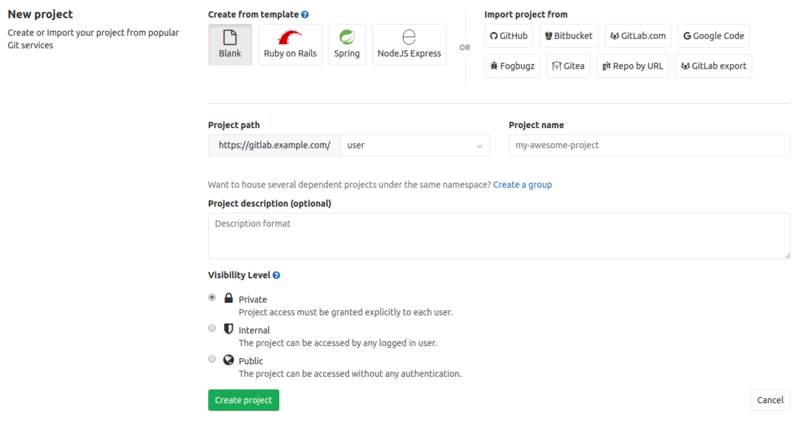 Choose if you want start a blank project, or with one of the predefined Project Templates: this will kickstart your repository code and CI automatically. Otherwise, if you have a project in a different repository, you can import it by clicking an Import project from button provided this is enabled in your GitLab instance. Ask your administrator if not.